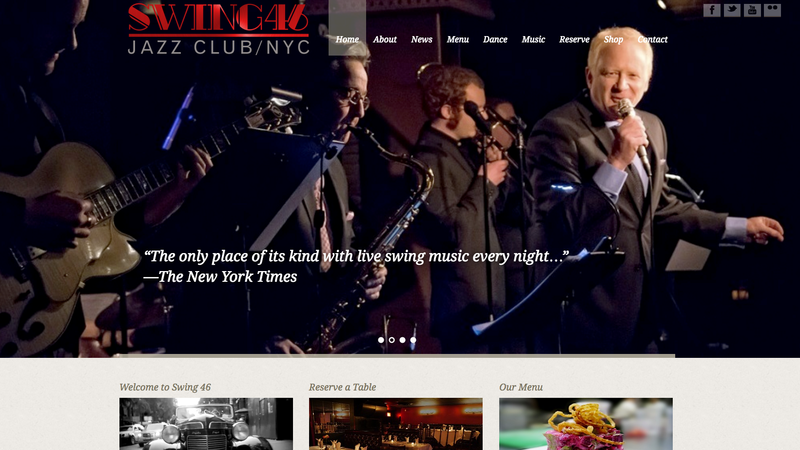 To mark its 20th anniversary in June (2017), Swing 46, a jazz and supper club in the heart of Times Square in New York City needed a completely revamped website to align with its schedule of celebratory events. So club owner, John Akhtar, turned to Bolder Design. “I felt that it was time to update our online presence with a hipper and more attractive look, and Bolder Design nailed it. They really exceeded my expectations,” says Akhtar. Bolder Design helped in all aspects of Swing 46’s rebranding by delivering a site that offered a fresh new look along with many social media integrations.